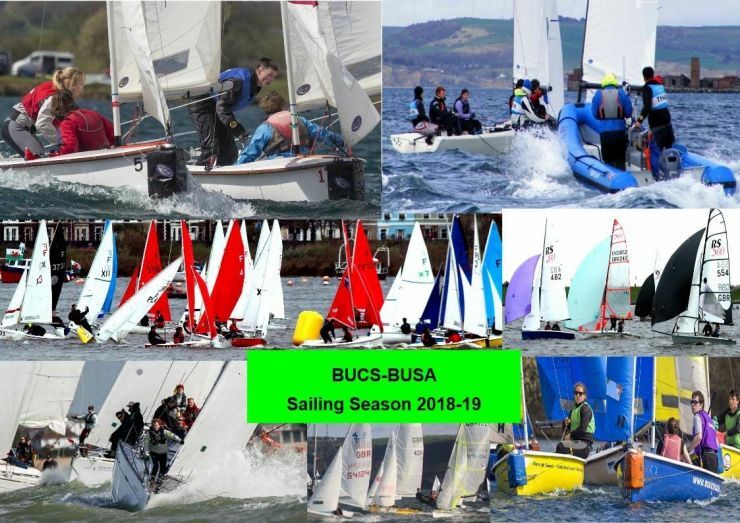 This is an overview of the Sailing season 2018-19 as published by BUCS & BUSA. It lists the BUCS Championships, for which individual Championship pages may be found on the Championship dropdown menu on the BUSA website, together with relevant RYA events (all events may be found on the BUSA Calendar, but BUCS Championships have individual pages). It also give general guidance across all BUCS events in 2018-19, including an explanation of the new BUCScore registration arrangements - Registering Competitors and Reserves - alongside the (team) Entry section for each Championship. It may also be downloaded from here. If you require further information throughout the year you must first contact your Athletic Union/Sports Office. The BUCS Essentials is available on the BUCS website on the second working day of each week and will be sent to all BUCS members. The Essentials contains all the important information regarding BUCS Events and should be used in conjunction with the Sports Specific Homepages. The BUCS Sailing webpage will also provide you further information and news. BUCS General Regulations – these relate to all sports. BUCS Sports Specific Regulations – these relate to Sailing only. NGB’s laws of the Sport – you must be aware of the NGB laws of the Sport, this includes the provisions of the Notice of Race and Sailing Instructions. Please contact the RYA for more information. This BUSA website is the key place where BUSA publishes information about the major university championships, as well as lots of other events aimed at university students.The BUSA calendar of all BUSA events and Universities' own events are published on the BUSA website. Championships have their own section and each have a dedicated page for all Notices. You can find contact information for all university clubs and the BUSA Committee on the BUSA website. There is much other information under the menu drop-downs. To add your university’s information, please send us details about your sailing club and what will interest potential recruits, what events you run and who the main contacts are at the club etc.This will be a great tool to help encourage new sailors to your club and to promote your events and activities. Send to the BUSA Editor. All Universities participating in BUSA/BUCS events are required to be members of BUSA.The membership categories and subscriptions are explained under ‘Development’ on the website. This fee includes your club’s RYA Affiliation. SUBCRIPTIONS ARE DUE BY THE 1ST NOVEMBER 2018. If you have not received your invoice by the 1st October, please request it via email to the BUSA Secretary. It is the responsibility of either the individual or institution to ensure that all entrants have appropriate insurance in order to compete. BUSA and BUCS DO NOT insure any competitor for any of its events. Teams entering a BUCS event must do so via BUCScore. Places will not be accepted, or reserved, without entering correctly. Teams must ensure their university have paid their BUSA subscription. Teams should refer to the Notice of Race and Notices published on the relevant Championship page on the BUSA website – see Championships drop-down. For 2018-19, there will be one section on BUCScore - the Competitors and Reserves List - for all sailors to be registered by their AU/SU, whether as intended competitors or as reserves for any BUCS event. This replaces the “Universal Reserves List” used previously, so that all competitors and reserves will be added on the system in one place. This will remain open for additional sailors to be added until 10 days prior to each particular BUCS event in the Calendar. Clubs are strongly advised to register all their sailors just in case (several teams at the Team Racing and Yachting in 2016-17 withdrew for lack of sailors pre-registered on BUCScore). It should be noted that for every sailor entered on BUCScore, details of names, university, email address, mobile No. and next of kin and contact details will be required (this information will be handled only for the purposes of the administration of the BUCS/BUSA events in 2018-19 and in accordance with GDPR. For the Fleet Racing Championships, the names etc. for each helm (and crew) will also be entered on the BUCScore entry section, as in previous years. For the Team Racing Championship there will be the usual team entry sections on BUCScore for the Scottish and for the England & Wales Qualifiers. This will only require details about the team name etc. and its Captain at this stage, but not the individual sailors. Captains will be required to confirm their actual teams for the first Scottish League and for the English & Welsh Qualifiers not later than 10 days prior to the event with the BUSA Secretary. For the Match Racing and Yachting Championships, the helm and team captain will be entered on the BUCScore team entry, but the Captain will be required to notify the BUSA Secretary at no later than 10 days prior to the event who will be the crew members and their respective roles in the boat. Reserves for BUCS Events: Clubs are strongly advised to register all their sailors on BUCScore, just in case. Results: Results from BUCS Sailing Championships will be posted on the relevant BUSA Championship page, circulated within the BUCS Essentials and posted on the BUCS Sailing page.